At some point in time, whether in their childhood, adulthood, or both, it is inevitable that the vast majority of people will have some degree of contact with dogs; these situations could include caring for a family pet as a child, being the principal dog owner later in life, or just a passing interest in dogs they meet on occasion in the neighbourhood or a park. And through all of these encounters over the years, while they may not remember every dog they have ever known, it is quite likely that their more vivid images/recollections are linked to those who were/are not well-behaved. 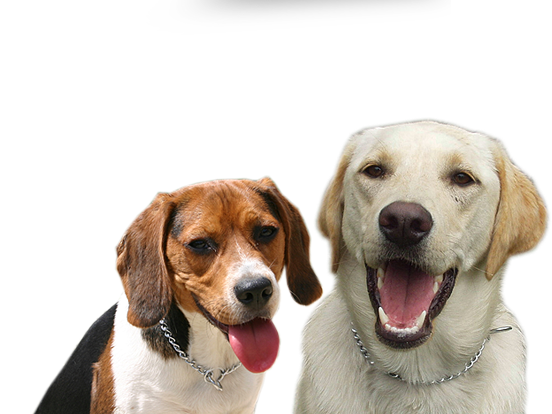 These are the dogs that bark, lunge, or growl at people and at other dogs; they are the dogs that neither respect nor respond to the commands of their owners, and/or who are described as temperamental, aggressive, or just plain unfriendly. Why? In a significant number of these cases, if a dog is exhibiting poor behaviour, it can often be attributed to a lack of essential training at the puppy stage and/or in the initial phases of the dog-owner relationship for dogs that have been rescued or adopted from a shelter. Obedience training is fundamental, not only to avoid or correct the types of behavioural issues mentioned above, but also for the safety and protection of the dog; even working together on just the most basic dog commands can have a profoundly positive influence on the way a dog behaves with other people and animals – and on the bond between the dog and its owner. With this in mind, the dog training professionals from Alpha Paws in Newmarket suggest that owners incorporate these essential commands in any and all dog training efforts; for maximum effectiveness, these should be practiced and instilled with patience, repetition, and positive reinforcement (treats and/or praise). The importance of training a dog on these fundamental commands cannot be overstated. 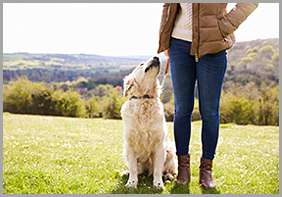 For a happy and mutually-rewarding relationship, as well as for the safety and protection of both the dog owner and their canine companion, establishing good behaviour habits is essentially a non-negotiable factor. While the above-noted dog commands are generally considered to be the most common to be taught, dog owners should not expect too much in terms of their dog’s immediate mastery of such training. As stated earlier, success will be attained through persistence, consistency, and liberal doses of positive acknowledgement and reward. Sometimes though, life gets in the way, in a manner of speaking, thereby preventing the dog owner from investing/dedicating the time necessary for the dog to learn these basic commands and display them routinely in their daily behaviour/activities. 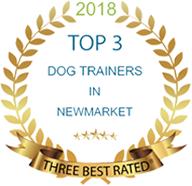 In these cases, rather than trying to force their dog to learn through excessively time-intensive training sessions or trying to teach multiple commands in the same session, owners may want to consider the professional dog training services available from Alpha Paws in Newmarket. 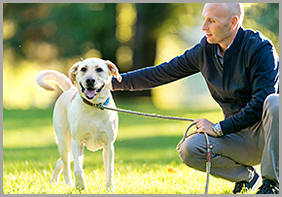 If professional dog training would better suit your needs and those of your dog, call the experts from Alpha Paws toll-free at 1-647-694-4584 today to arrange an assessment and determine which training program would be most appropriate for you and your dog.